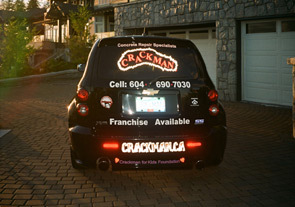 The Crackman Business Opprtunities page: start your own mobile concrete crack repairs and concrete driveway refinishing business with the Crackman. Looking to be your own boss? Want to manage the balance between work and a quality lifestyle? We are always looking for high quality, service orientated, performance driven individuals to join our team! If you are looking for challenge, job satisfaction, monetary reward as well as a great family life explore the possibility of being one of our valued franchisees. We also have a program for community involvement that can work through our own foundation: Crackman For Kids. We give back to each community we work in by supporting Kids. CKNW Orphans Fund, Elks Kids Camp, Surrey Christmas Fund and many more organizations have all been recipients from our Fund. One of our mandates is to give back and to be a responsible member in the community! We provide - equipment, training, advertising, referrals and support. Gaynes Smaleygh Gaynes has been developing crack repair processes for the past 2 decades. He has worked in the customer service industry all his life. Gaynes is the "Original Crack Man". 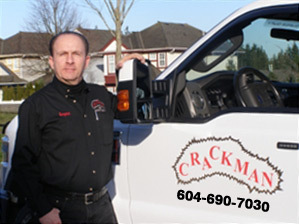 The Crackman is mobile and serves the entire Lower Mainland, including North and West Vancouver, Vancouver, Burnaby, Coquitlam, Richmond, Whiterock, Langley, Abbotsford and the Fraser Valley. Gaynes Smaleygh is an accomplished Triathlete and participates in annual "Ironman Triathalons". The goal of his Ironman racing is to raise funds for his "Crackman For Kids Foundation". 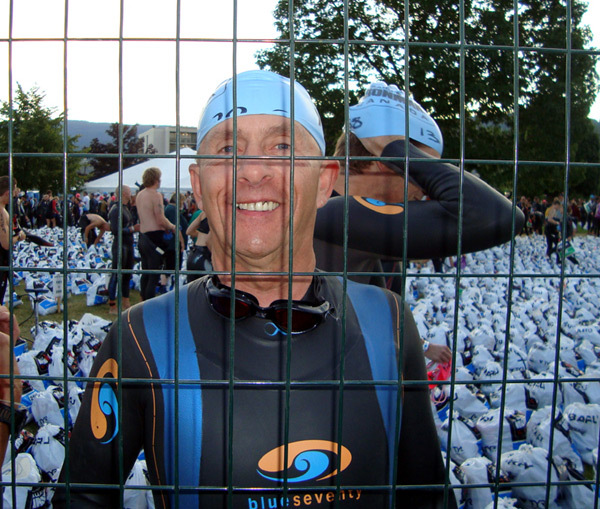 Gaynes at the 2012 Ironman Triathalon in Penticton BC.